One of the greatest attributes of a Flip Page edition is the ability to distribute print media to all clients or customers quickly and cost effectively via email. However, in order to distribute an email campaign to a customer base, well, customer emails are needed. There are a number of methods that can be used to entice a potential customer to subscribe to a brand or to create ‘leads’. The intention, at least for this blog, is not to provide insight into all of the approaches but rather to generate awareness of one - ‘The Flip Page Registration’. The Flip Page Registration is essentially a free subscription tool. It allows the publisher or business to prompt a reader or customer, at any point within the Flip Page edition, to provide data into customizable fields. A sampling of this lead generation tool can be found in this digital brochure. The information that a customer provides is then captured in a database where the publisher or business can extract it for future use ie. the next email campaign!Any marketing effort should seek to generate new leads as well as foster the existing customer relationships. Here is a potential ‘use case’ for using the Flip Page Registration...A company sends a digital flyer to the customers in its current database via email. The digital flyer is circulated from members of the database to other non-members (leads) using the common share tools that are available with each Flip Page edition. For example, Sally Smith decides to share the digital flyer to her Facebook wall. A number of Sally’s friends are intrigued by the share and click on the link on Sally’s wall. None of these new viewers are actual email subscribers to the digital flyer and are potential customer acquisitions. These non-customers view the digital flyer and are intrigued by the products that are available. As they navigate to the end of the digital flyer they are prompted with an optional form to subscribe to future flyers of that brand. The means by which the customer data was collected is non-invasive and meets regulatory controls because of the ‘optional’ nature of the registration. The customer data that is collected is customizable and provided fields can be offered as ‘optional’ or ‘required’.In the above scenario, a non-customer becomes a potential lead as they progress from having no affiliation with a brand to ‘opting in’ for future information. 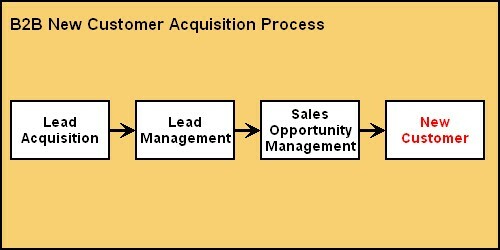 However, this scenario can only occur if you have the ability to capture that customer at the time of engagement. If the customer is not offered the ability to provide their data (or ‘register’) in that moment then it is assumed that they will find another way to seek out your brand. That presents a flaw in the customer acquisition process (as pictured). A new lead cannot be acquired if there are not presented with an opportunity to engage with a brand. A digital print media campaign using effective marketing practices should work to increase your brands prominence and provide increased opportunity to acquire new clients!